PLEASE READ THIS IN IT'S ENTIRETY!! There is a lot of information here and it is all important. You will need to pay on this site, and register on the HQ site. Links are provided toward the end of this page. The registration deadline is April 10! We call it our CHA CHA. It used to be officially called our Chapter Championship, and it is now called the Local Championship Qualifier (LCQ) San Diego. Whatever you call it, it is a true example of fun and friendly competition! You're playing golf with your friends and colleagues, but with a competitive spirit. The Cha Cha is the first leg of the largest women's amateur golf tournament in the country. This year, we'll return to Sycuan with the newly renamed Singing Hills Golf Resort, on the Willow Glen course on Saturday, April 27th. It will be a 1pm shotgun followed by dinner and awards. ALL SKILLS LEVELS ARE WELCOME! It's not just for low handicappers. Whether you are a seasoned golfer, or new to the game, the Cha Cha provides a venue to experience competitive golf among friends and in the spirit of fun. You may enter this competition to play individual stroke play or as part of a scramble team. 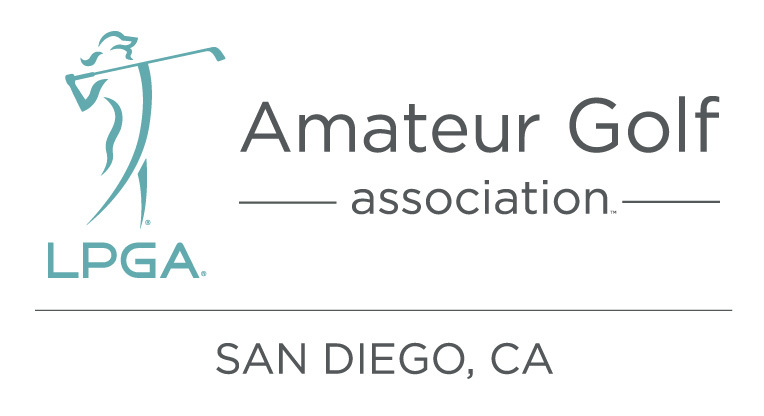 All competitors must be LPGA Amateur Golf Association members in good standing, have a verifiable index, and have posted at least 2 rounds in the current year prior to the handicap revision date of April 1st. Registration deadline will be April 10. Scramble Team: Here's a big change from previous years!! Team Course Handicaps will be determined using the Ambrose handicap method. This is 50% of the average of the 4 players Course Handicaps, rounded to the nearest whole number. (We used this method in the recent California Classic held in November). So, are you hooked? Great! STEP #1 - PAY HERE (link at bottom of this page): The fee of $110 is the total fee and is for our San Diego event only. It includes, golf, range, dinner and awards. There is no fee to the national organization this year!! Once you complete your payment on Paypal, click on Return to Merchant Site or Return to Event Page. This is so you may complete your registration. STEP #2 - REGISTER HERE: Click on this link . (First be sure to keep this window open or print it out so you can refer to the steps if needed). The link will take you to the LPGA Amateurs Member site. Login into the Member Clubhouse. Scroll down to My Events on the left side of the screen and Click on that. Then on the page that opens, click on the drop-down menu titled LPGA Amateur Championship. Select 2019 Local Championship Qualifiers from the drop-down. Scroll down until you see the Southern Cal/Desert SW Section. In that section, Click on the San Diego, CA link. You have arrived and will need to register there! The Cha Cha is the first leg of this Championship series. If you win gross or net in this event, or place 1st or 2nd in the Scramble format, you will advance to Sectional Championship Qualifier to be held Saturday, June 15th at Singing Hills Resort at Sycuan on the Willow Glen Course!! How convenient!! And then, if you win in that event, you will advance to the finals to be held October 12 and 13 at the Westin Mission Hills in Rancho Mirage. Also very convenient for our Chapter! So mark your calendar for these dates as well, and don't forget to register by April 10!